This is Happening – Ya Like Dags? The only appropriate way to advertise the culmination of five years of your life. I’m pretty bad about unannounced hiatuses. The slightly over three month gap since the last post was due to me finishing off my dissertation, which for those of you outside the strange world of academia is basically a giant paper containing all the results of the research I conducted while earning my PhD. After finishing all of said research, you send this huge document (mine clocks in around 240 pages at the moment) to a committee of people who already have PhDs and expertise relevant to your dissertation work. Then you give a public presentation for an hour, and then spend the next 2-3 hours in a closed-door session where the committee asks you questions and decides whether you’ve done good enough work to be called “doctor.” You may also have to fight a snake (just kidding, but then again I’m not sure what happens during the closed-door session for PhD candidates in herpetology). 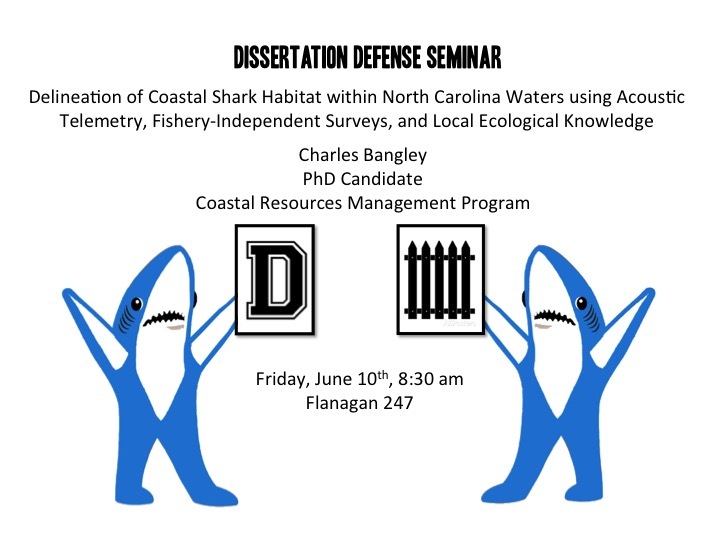 The seminar portion of the dissertation defense is open to the public, so if visiting East Carolina University is not too much of a hassle on a Friday morning then you can see what all the fuss has been about since 2011. I’m also looking for volunteers to live tweet the seminar, since there’s interest in following along from people outside of easy traveling distance. Look forward to more actual posting here soon. After all, taking three months off means I have some ground to make up on my 52 post challenge this year.